Why Don’t Deleted Emails Appear in the Recycle Bin? When you delete files (normally) they go to the recycle bin. How come E-mail doesn’t work the same way. it get’s compacted? I’m using Thunderbird and Windows 7. 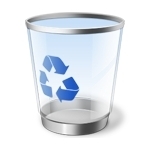 The reason that deleted emails don’t show up in the Recycle Bin is that the Recycle Bin stores files after you delete them (note that some programs will delete files without putting them into the Recycle Bin). This is sometimes a problem with older programs or programs that are simplistically ported from another operating system. Most Windows email programs store emails as data in large files containing multiple emails. They’re not stored as individual files. Email “folders” are actually files, in most cases, although some email programs may not create separate files for the folders. I forgot to say that I FORWARD them to yahoo acct. I use my free yahoo acct to store good emails that I want to keep therefore keeping my Outlook Express clean of all emails…works good I have about 500 or so in yahoo. IN WINDOWS MAIL WHY DOES THE EMAIL ONLY PARTIALLY OPEN, AND THEN I HAVE TO CLICK ON ENLARGE TO GET IT TO FULLY OPEN? If you understand emails. Please explain how to save, in Outlook, the emails. Can one save the emails on my terms or must it be on Outlook's terms. Explain for a person not a computer.